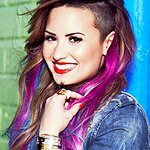 Chart-dominating singer, songwriter and actress Demi Lovato will join the Substance Abuse and Mental Health Services Administration (SAMHSA) to celebrate the eighth annual National Children’s Mental Health Awareness Day (Awareness Day) at a press briefing on Tuesday, May 7, at the University of the District of Columbia Community College in Washington, DC. At the press briefing, U.S. Department of Health and Human Services (HHS) Secretary Kathleen Sebelius will present Lovato with an award for her work as a mentor to young adults with mental health and substance use challenges. 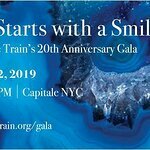 Together with SAMHSA Administrator Pamela S. Hyde, they will focus on the importance of social connectedness — a sense of community — in enhancing resilience in young adults with mental health and substance use challenges at home, school, work, and in accessing health care services. During the briefing, announcements will be made about upcoming federal initiatives on children’s mental health, and the findings from a new report on the efficacy of community-based programs in improving the lives of older adolescents and young adults with mental health and substance use challenges. Awareness Day is SAMHSA’s annual observance of the importance of caring for every child’s mental health. The press briefing is a launch event for activities being held across the country on Awareness Day, which will be observed nationwide on Thursday, May 9. More than 130 public and private organizations and more than 1,100 communities across the country will participate in local events and activities in celebration of Awareness Day. WHERE: The University of the District of Columbia Community College Auditorium 4200 Connecticut Avenue, NW. WEBCAST: The event will be available via live Webcast at www.samhsa.gov/children. For more information about Awareness Day and to view the list of collaborating organizations, click here. Follow #HeroesofHope to join the conversation about Awareness Day on Twitter.